This beautiful delicate flower is smaller than my usual ones, it measures 4” across so its perfect for a pretty hair flower for a bride or bridesmaid worn on the side or back of the head with hair up of down. It’s backed with recycled suede. There is a strong metal hair clip on the back which can also be clipped onto the lapel of a jacket or coat, or it could be clipped onto a sash or belt at the waist. 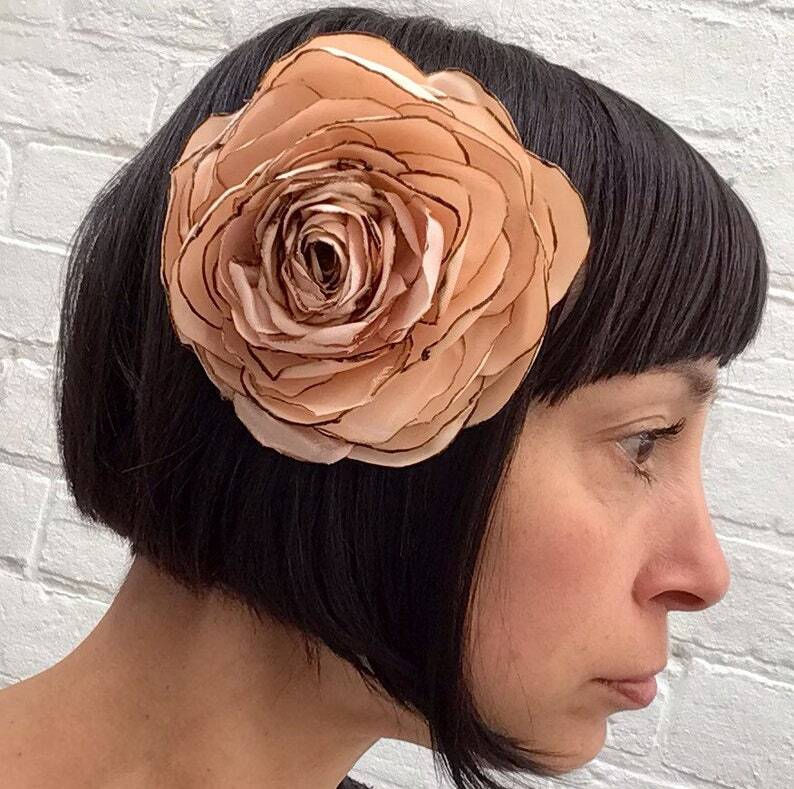 This flower has been made out of vintage peach satin with distinctive blackened edges.